This message is to thank a reader named Carmen. I don't have Carmen's email address so I am posting this here. 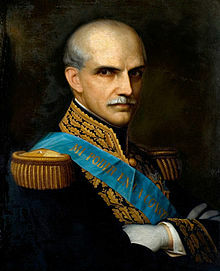 For those unfamiliar, Garcia Moreno is arguably the greatest Catholic president in history (i.e. a leader of a democracy). Dear Carmen, thank you for your kindness of sending me a copy of Garcia Moreno by Fr. Augustine Berthe which was on my Amazon wishlist. I have received the book and am really grateful for your thoughtfulness. 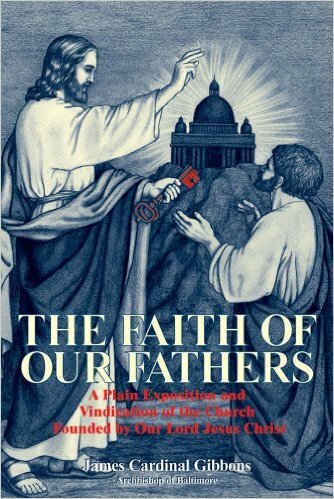 I hope to read this book soon, it is next on my reading list after I finish my current book on the Dominican Order. May God bless you for your generosity. I will remember you in my prayers whenever I pray for my benefactors. I will post a review of this book here after I have read it. What is the Old Catholic Church? Are they Roman Catholic? There is a group of individuals who call themselves "Old Catholics." This group broke off of the Catholic Church before Vatican I and have mixed in protestant thought within what looks like a Traditional Catholic Mass. But they do not offer the Holy Sacrifice of the Mass. These individuals belong to a group that has been officially condemned as schismatic and heretical. One such group is present in Chicago, IL. Look up the "Old Catholic Church" and you will find they are located around the world. The serious and long-lasting plots and efforts which the new heretics who call themselves Old Catholics use daily in your country to deceive the faithful and to tear them away from their ancient faith, urge Us, as a duty of Our supreme apostolate, to zealously devote Our paternal care and attention to protecting the spiritual welfare of our children. We are aware, and We sorrowfully deplore the fact, that these schismatics and heretics who enjoy the favor of the civil authority exercise the ministry of their wicked sect in the region of the diocese of Basel as in other regions of your country while the religious freedom of Catholics remains publicly oppressed by schismatic laws. 2. Having violently occupied parishes and churches with apostate priests, they have not neglected any deception or cunning to lead the children of the Catholic Church into wretched schism. Because it has always been especially characteristic of heretics and schismatics to use lies and deception, these sons of darkness are to be reckoned among those the prophet spoke of: "Woe to you deserting children who have faith in the shadow of Egypt. You have rejected the word and have hoped in trickery and rebellion." They love to deceive the unwary and the innocent and to draw them into error by deception and hypocrisy. They repeatedly state openly that they do not in the least reject the Catholic Church and its visible head but rather that they are zealous for the purity of Catholic doctrine declaring that they are the heirs of the ancient faith and the only true Catholics. But in fact they refuse to acknowledge all the divine prerogatives of the vicar of Christ on earth and do not submit to His supreme magisterium. 3. In order to spread their teachings more widely, We know that some of them have been appointed to teach sacred theology in the University of Bern, hoping to be able in this way to gain new followers from the Catholic youth for their wicked faction. However, We have already reproved and condemned this deplorable sect which has produced from the old store of the heretics so many errors opposed to the principal tenets of the Catholic faith. This sect overthrows the foundations of the Catholic religion, shamelessly rejects the dogmatic definitions of the Ecumenical Vatican Council, and devotes itself to the ruin of souls in so many ways. We have decreed and declared in Our letter of 21 November 1873 that those unfortunate men who belong to, adhere to, and support that sect should be considered as schismatics and separated from communion with the Church. 4. We think it is Our duty to repeat this public declaration now and to request you to preserve the unity of faith among your faithful by every possible means in accordance with your eminent zeal and your renowned virtue. For you have given notable examples of this virtue in bearing tribulations for the cause of God. You should remind them to beware of these treacherous enemies of the flock of Christ and their poisoned foods. They should totally shun their religious celebrations, their buildings, and their chairs of pestilence which they have with impunity established to transmit the sacred teachings. They should shun their writings and all contact with them. They should not have any dealings or meetings with usurping priests and apostates from the faith who dare to exercise the duties of an ecclesiastical minister without possessing a legitimate mission or any jurisdiction. They should avoid them as strangers and thieves who come only to steal, slay, and destroy. For the Church's children should consider the proper action to preserve the most precious treasure of faith, without which it is impossible to please God, as well as action calculated to achieve the goal of faith, that is the salvation of their souls, by following the straight road of justice. 5. We recognize that apart from laws which injure the divine constitution and authority of the church, others have also been promulgated there by the civil authority which are totally opposed to the canonical prescriptions dealing with Christian marriage. These laws deeply oppose the authority and the jurisdiction of the Church. We are obliged to exhort you in the Lord to explain to your faithful by suitable instructions. Recall to their minds those truths which We have often stressed in Our apostolic letters or allocutions concerning this sacrament especially on 9 and 27 September 1852. We endeavored to give them a thorough appreciation of the sanctity and the power of marriage to enable them by pious conformity to the canonical laws in this matter, to avoid the evils which affect families and human society in consequence of contempt for the sanctity of marriage. 6. 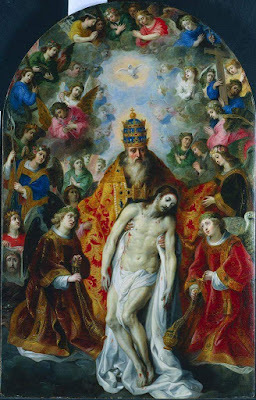 We are very confident in the Lord, beloved sons, pastors, and clerics, that you, who have been ordained not only for your own sanctification and salvation but also for that of others, in face of this huge conspiracy of the unholy and of so many dangerous allurements will prove yourselves a strong comfort and help to your bishops because of your demonstrated piety and zeal. Under their leadership, you will eagerly take up the task of diligently working for the cause of God, for the Church, and for the salvation of souls. You will strengthen the powers of the faithful who stand firm, assist the weakness of those who falter, and increase daily before God the merits which you have already attained by patience, constancy, and priestly fortitude. The labors which those who act as ambassadors of Christ must sustain are very heavy at this time. But our trust should be placed in Him who has conquered the world. He helps those who labor in His name and rewards them with a crown of unfading glory in heaven. enemy of the human face "until the right arm of Almighty God destroys all the weapons of the devil who is allowed a certain scope of action only in order to give Christ's faithful greater glory by his defeat . . . because where truth is the teacher, divine comfort is never lacking." 8. We thought We should write these things to you because the duty of Our supreme ministry requires Us to deliver the universal flock of Christ from every danger of deception and to watch over its safety as well as the unity of the faith and of the Church. Therefore, since every good gift and every perfect gift comes down from above from the father of lights, We pray to Him from the bottom of Our heart that He strengthen your power in the struggle and defend you with His help and protection. May He look favorable on your country until when the errors and the counsels of the impious have been destroyed, it enjoys the tranquil peace of truth and justice. We do not neglect to implore the light from above for the wretched people who have gone astray. May they cease storing up wrath for themselves in the day of wrath and revelation of the just judgment of God. May they turn from the error of their ways while there is still time given to them for sincere repentance. Venerable brothers and dearly beloved children, join your fervent prayers of Ours to obtain mercy and find grace in suitable aid. Receive the apostolic blessing which We impart to you lovingly in the Lord from the bottom of Our heart. We grant it to each and every one of you as a pledge of our special love. Given at Rome, at St. Peter's, on the 23rd day of March 1875, the twenty-ninth year of Our Pontificate. Per some of your articles, especially on Fatima, might you also know of the established Holy Face Confraternity? There is one near you in Clintontownship, MI at the Discalced Carmelite monastery. The Archconfraternity is in Tours, France. This fully approved apostolate of the Church is one of its best kept secrets, and yet it was established by Our Lord to make reparation for blasphemy and combat the evils of communism, something which Our Lady of Fatima warned about, i.e. the "errors of Russia." This work of reparation and devotion seems to be deemed pre-Vatican II and relegated to the 19th century, but if there was a century more in need of this work of reparation, it is the 21st century. The following is taken directly from HolyFaceDevotion.com. Please visit the site for more information and please help to spread awareness of this devotion. 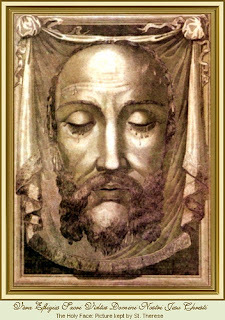 Have you heard about the devotion of reparation to the Holy Face of Jesus? It is a devotion that was first heard of through a Carmelite Nun named Sister Mary of St. Peter in France, 1844, who stated Our Lord revealed this devotion to her at Mount Carmel. Sister Mary of St. Peter stated that Our Lord wanted this devotion to be spread throughout the world with the goal of making reparation for the sins which offend God. When a man named Leo Dupont took this devotion and started practicing it privately in his home nearby, repeated first class miracles started occurring, which lasted for a period of over 30 years! This immediately became the talk of France, and attracted the attention of the Catholic Church, who investigated and publicly recognized the miracles as authentic. These miracles attest to the authenticity of the revelations from Our Lord to Sister Mary of St. Peter. Note that Saint Therese of Lisieux was also very dedicated to this devotion, which prompted to take the name, "Therese of the Child Jesus and of the Holy Face". This devotion was universally practiced before World War I but unfortunately, has since become scarcely known. This website has been created in an attempt to revive this important devotion. 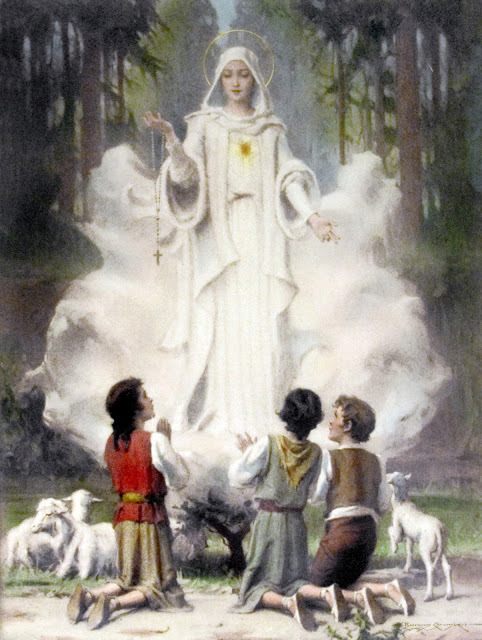 Today marks the 98th Anniversary of when Our Lady of the Rosary, appearing at Fatima, revealed the Secret of Fatima to Lucia, Jacinta, and Francisco. The Secret consisted of three parts. In the First Part, she revealed hell, and how many souls go there because no one prays for them. In the Second Part, she revealed her desire to have Russia consecrated to her Immaculate Heart and that if this was not done, there would be worse wars, Russia would spread her errors across the world, and various nations would be annihilated. The Third Part of the Secret consists of two parts, a vision (which all; three children saw) and words of the Virgin Mary (which Francisco did not hear, but they were permitted to share with him). This Third Secret was supposed to be revealed in 1960 by the Pope, but he chose not to do so. Half of the Third Secret, the Vision portion, was finally revealed in 2000. However, to this day, the Words of the Virgin - which constitute a terrible message of warning for mankind and especially for the Church - have still not been revealed. For more information on Fatima and the apparitions there, please click here for my prior article on the topic. At Fatima, the Ever-Virgin and Blessed Mother of God requested that we pray the Rosary every day (at least five decades), that all Catholics practice the First Saturday devotion, and that the Holy Father consecrate Russia to her Immaculate Heart. Sadly, few Catholics are responding to her request faithfully and Russia remains unconsecrated. She promised our world and the pope would suffer much if we were disobedient, but that there would be peace if (when) this was done. Let us do our part, being faithful to Our Lady's request and doing our best to promote the Message of Fatima. Please consider purchasing from the St. Vincent Ferrer Foundation of the Message of Our Lady of Fatima by Fr. Rodriguez and a seven CD class on Our Lady of Fatima. I also recommend William Thomas Walsh's classic book, Our Lady of Fatima, written in 1954 after he personally interviewed Sr. Lucia. At Rome, the martyrdom of the seven holy brothers, sons of the saintly martyr Felicitas. They are Januarius, Felix, Philip, Sylvanus, Alexander, Vitalis, and Martial. They died in the time of Emperor Antoninus, under Publius, prefect of the city. Januarius, after being scourged with rods and detained in prison, died from the blows inflicted with leaded whips. Felix and Philip were scourged to death. Sylvanus was thrown headlong from a great height. Alexander, Vitalis, and Martial were beheaded. The Seven Holy Brothers whose traditional feast is celebrated today serve as an awe inspiring example for us living in a world that has revolted against God and His Divine Laws. How many of us would be willing to publicly set aside our Faith rather than face a brutal and torturous death? It is common for us to view the martyrs in a very lofty sense. We see in them great examples of men and women who declare, "I will not deny God. And for this I am willing to die." But the choices that a martyr are forced to make are excruciatingly difficult. Would we do the same? In the persecution of the early 20th century in Mexico, the atheistic government murdered many Catholics - including small children. The children were told to publicly deny Jesus and live. They were even told, "You don't have to believe it. Just say the words. They are only words. They don't matter. Just say what we want you to say and then you can live." But they knew that words are more than a mere repetition of sounds. They mean something when they are said. So they suffered cruel deaths - sometimes their feet were cut open by a knife and they had to walk for miles while bleeding and in horrible pain until they died. Would we have the Faith of these children to refuse to say words against Christ and His Church? Have we considered St. Maria Goretti's example more completely in light of this? How many people today would welcome and even enjoy the possibility of having fornication with others? How many would willingly do this. And yet St. Maria Goretti refused to consent to these same acts - and for that she was repeatedly stabbed until she died. Do we have that Faith? Or do we have the courage to stand like St. Thomas More did against the government when it attacks the Faith and the family? Do we have the courage to defend Holy Matrimony and refuse to accept the civil divorces of our friends and family? St. Thomas More, one of the highest ranking members in the government, willingly lost all of his eternal possessions, honors, and even his life rather than accepting a divorce. Would we fight for this? Would we be willing to fight against the abuses of annulments today or the attacks that the liberal government wages on the Truths of the Faith? Would we willingly die for this and leave behind our friends and family like St. Thomas More left behind his lovely daughter, Margaret? The martyrs we celebrate today, the sons of St. Felicity, gave up all that they had for the Faith. And all the martyrs show us extraordinary courage. It is not easy. We may think that if liberal Catholics are ok with offering a bowl of incense to a pagan statue in a Hindu temple then it is acceptable. We may think it's not worth fighting over - much less perishing over. But the First Commandment is clear, as is the greatest Commandment: "You shall love the Lord thy God with thy whole mind and strength." And the only way to do this is to reject all false, non-Catholic religions, and cleave to revealed Catholic Truth. It is not easy. In the midst of the suffering it is not always clear if we do the right thing. But with a firmness we must pray for the courage to hold fast to the end - to the last drop of our blood - and if we do this, we will win the crown of Martyrdom and earn an inheritance in Heaven that will not perish and far outshines any earthly honor. We must refuse to enter non-Catholic places of worship. We must refuse to pray with heretics, schismatics, or pagans. We must refuse to participate in non-Catholic weddings or funerals. It is not easy to remain faithful to the First Commandment today because so few people in the Church today are willing to do this. We hear scandals of bishops praying with protestants or asking for their blessings! We are right to be scandalized. But we should pray in these instances for us to have the courage to persevere. And for those who do sin - let us pray for their conversions and make satisfaction for their sins to Almighty God who demands justice. 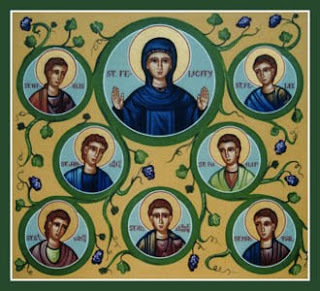 May the Seven Holy Brothers pray for us and our leaders in the Church and in the secular governments. May all of of have the courage to live as martyrs. Kyrie eleison! I'm pleased to be offering the following older/collectible Catholic books for sale. The price for each one is $18 which includes shipping and handling (unless the price is otherwise noted below). If you are interested in any of these, please contact me at acatholiclife[at]gmail[dot]com. "The Catholic's Ready Answer," Hill, SJ, 476 pp. 1915, Benziger publ. Today the Church observes the 8th anniversary of the publishing of Summorum Pontificum, the long-awaited motu proprio of Pope Benedict XVI replacing all former "indults" and declaring that the Tridentine Latin Mass was never abrogated and all priests had the right to offer this Mass at any time, in public or private, without any "permission" from a bishop. 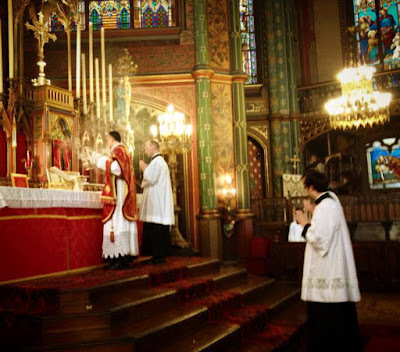 Called the Mass of the Ages, the Most Beautiful Thing This Side of Heaven, the Mass of Blessed John XXIII, the Tridentine Latin Mass, and most recently, the Extraordinary Form of the Roman Rite, this Mass truly is one of the most beautiful forms of worship for the Catholic Church. Below are links concerning the Tridentine Mass. On July 7, 2007, the motu proprio by Pope Benedict XVI, Summorum Pontificum, was issued and thereby allowed a wider usage of the Sacraments according to the 1962 Missal. After years of waiting, finally on July 7, 2007, the motu proprio, Summorum Pontificum, allowing a wider usage of the Sacraments according to the 1962 Missal was published. Pope Benedict has an official letter to the Bishops on the topic of this motu proprio. Visit the Vatican's website for the Latin text of the actual motu proprio. 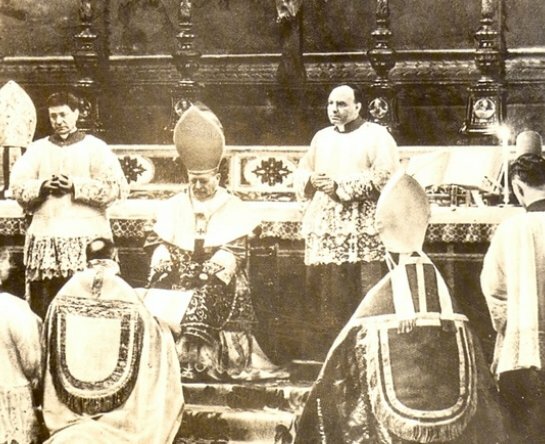 In essence, the document affirmed that the Tridentine Mass – the way that the Mass was celebrated for centuries leading up to the 2nd Vatican Council – was never abrogated and such can and should still be said. The text of the document can be found under the Catechism References in today’s lesson. Quoting from the text, pay particular attention to the following line by His Holiness Pope Benedict XVI: "It is, therefore, permissible to celebrate the Sacrifice of the Mass following the typical edition of the Roman Missal promulgated by John XXIII in 1962 and never abrogated, as an extraordinary form of the Liturgy of the Church"
Every action of the priest in the Tridentine Mass – unlike in the Novus Ordo – is regulated by established laws. The single greatest source of these rules in the English language is The Celebration of Mass: A Study of the Rubrics of the Roman Missal available for purchase online. The Tridentine Mass truly made it possible for Catholics to attend a uniform Mass anywhere in the world. If you were in Rome, China, America, etc you would truly have seen and heard Mass in the same manner, which unfortunately is not the case today. One common complaint against the Traditional Latin Mass is that the priest faces “away” from the people. In all actuality, this is incorrect. The priest faces in the same direction “with” the people. It is the priest who stands before the people as He faces our Lord – truly present before Him in the tabernacle. This is the ancient way of saying Mass and has been done for centuries. The priest faces “ad orientem” meaning that he faces Eastward, which is theologically important because that is the direction from which the Sun rises. Jesus Christ, the Sun that never sets, will one day come again from the East. The ad orientem orientation is opposed to that called versus populum, in which the celebrating priest faces the people. In 7th century England, Catholic churches were built so that on the very feast day of the saint in whose honor they were named, Mass could be offered on an altar while directly facing the rising sun (Andrew Louth, "The Body in Western Catholic Christianity," in Religion and the Body, ed. by Sarah Coakley, Cambridge, 2007 p 120). On 13 January 2008, Pope Benedict XVI publicly celebrated Mass in the Sistine Chapel ad orientem. He celebrated Mass facing the altar in the Sistine Chapel annually for the Feast of the Baptism of the Lord. “... When a general leads his troops into battle does he face them? When a representative of the people approaches the Ruler on their behalf does he face them? When a priest is going to the Lord on behalf of his people should he face them? When the priest is acting as the intermediary between the people and God he faces the Altar. When he is dispensing the gifts of God, or speaking to the people, he faces the people” (Fr. Joseph Santos of the Diocese of Providence, Rhode Island). David Martin is the author ofVatican II: A Historic Turning Point. He appeared in a Guest Column on the Remnant Newspaper on the important topic of "Turning the Altars Away from Facing God". We quote below from his piece. In contemplating the spiritual blight of these last times, due consideration must be given to the liturgical reform of Vatican II since this was the hub that set into motion a new order of liturgical chaos that has all but extinguished the Faith and bedimmed the planet. That is to say, the political and sociological debacle of our time is really a crisis of Faith, which means the solution to the crisis rests on the shoulders of the Catholic hierarchy. If the Church were in good shape as in former times, it would again be a powerful beacon to dispel the darkness and illuminate the nations, but as it stands the agents of darkness are having a field day and are overshadowing the Faith because the light of True Faith is merely flickering today because poor liturgical practice. The very crux of the problem has been the practice of having the priest say Mass facing the people (versus populum), since it has brought about a shift of focus where the emphasis today is on the community instead of on God. According to Monsignor Klaus Gamber whom Cardinal Ratzinger [The future Pope Benedict XVI] proclaimed as a prophet for our time, the turning around of the altars after Vatican II was the most destructive of the post-conciliar reforms, citing that "there is no basis for it in liturgical history, nor theology, nor sociologically." He points out that "changes in the traditional liturgy also mean a change of faith itself" and goes on to say..
What Does "Son of God" Mean? How is Jesus the "Son of God"? There is a pernicious error present in our world amongst those outside of the Church, who claim that Jesus Christ is the "Son of God" and that means He is not God Himself. This blasphemous error attacks the very core of what we profess: belief in the Holy Trinity. Is Jesus Christ truly and really God? Yes, He is. But is He also the "Son of God"? Yes, He is. Then what do we mean when we say He is the Son of God if He is God? Let's explore this now so as to refute those who are in error. The title "son of God" is frequent in the Old Testament. The word "son" was employed among the Semites to signify not only filiation, but other close connexion or intimate relationship...The title "son of God" was applied in the Old Testament to persons having any special relationship with God. Angels, just and pious men, the descendants of Seth, were called "sons of God" (Job 1:6; 2:1; Psalm 89:7; Wisdom 2:13; etc.). In a similar manner it was given to Israelites (Deuteronomy 14:50); and of Israel, as a nation, we read: "And thou shalt say to him: Thus saith the Lord: Israel is my son, my firstborn. I have said to thee: Let my son go, that he may serve me" (Exodus 4:22 sq.). The title "the Son of God" is frequently applied to Jesus Christ in the Gospels and Epistles. In the latter it is everywhere employed as a short formula for expressing His Divinity (Sanday); and this usage throws light on the meaning to be attached to it in many passages of the Gospels. The angel announced: "He shall be great, and shall be called the Son of the most High... the Holy which shall be born of thee shall be called the Son of God" (Luke 1:32, 35). Nathaniel, at his first meeting, called Him the Son of God (John 1:49). The devils called Him by the same name, the Jews ironically, and the Apostles after He quelled the storm. In all these cases its meaning was equivalent to the Messias, at least. But much more is implied in the confession of St. Peter, the testimony of the Father, and the words of Jesus Christ. And so we see the title "Son of God" is not meant to refer to filiation in that Jesus is the Son of a Father and not equal to the Father in the way that I might be called the son of my earthly father. 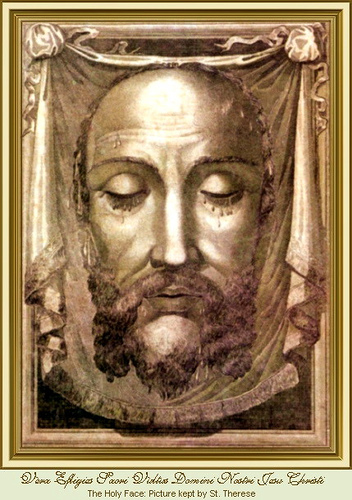 Rather, His title of "Son of God" is rather meant to express His Divinity and show His inseparable connection with His Heavenly Father, the 1st Person of the Blessed Trinity. So the next time you hear someone erroneous claim that Jesus Christ is not God since He is the "Son of God," all you need to do is refute the errors using Scripture as your guide. Remember, the errors of Arianism which claim that Jesus is not God are still very much around yet to this day. For good measure, be sure you understand the basic Theology of the Holy Trinity.